Inflation in Azerbaijan is expected to be at the level of 3.7 percent in 2019, and will continue to vary within the range of 4 percent, Zhannur Ashigali, associate director of the Sovereign Ratings and Forecasting Group at Russia’s Analytical Credit Rating Agency (ACRA), told Trend. Further, Ashigali added that the decree of President Ilham Aliyev on additional measures in connection with the resolution of the issue of problem loans to individuals is a timely measure. 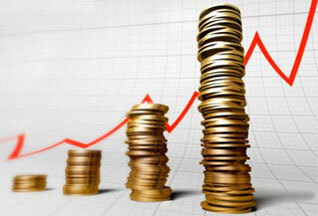 The expert said that the increase in inflationary tendencies and the additional load on fiscal balances in the context of a stabilized macroeconomic environment, the strengthening of industrial volumes should not affect critical values, while for the banking system this is a significant measure of support. The Central Bank of Azerbaijan expects inflation at four percent (± two percent) in 2019.